Phoenix, AZ (August 12, 2016) — Open Hearts Family Wellness President and Chief Executive Officer Arjelia “Argie” Gomez has been recognized as a 2016 Most Admired Leader by the Phoenix Business Journal along with 25 other business and community leaders. The 2016 leaders will be recognized on September 27 during an awards dinner in Paradise Valley. One of the most acclaimed programs of the year, the Phoenix Business Journal’s “Most Admired Leaders” designation celebrates executives who demonstrate leadership, values, vision and innovation throughout the Valley’s business community. The individuals, selected by a panel of judges from more than 200 nominations, understand that being a good leader means more than just running their company or organization. As President & CEO, Argie is responsible for the strategic leadership of the organization’s management, program operations and financial performance. 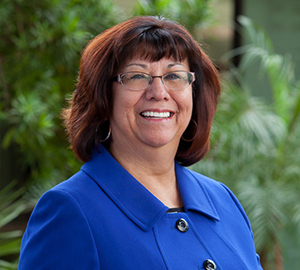 Prior to joining Open Hearts, Argie served in the top three officer positions of Chicanos Por La Causa as the Chief Operating Officer, Chief Economic Development Officer and Chief Financial Officer. Her drive for innovation secured sustainable funding for the social services programs and brought diverse opportunities to the community. Open Hearts Family Wellness, formerly known as Youth Evaluation and Treatment Centers or YETC, first opened its doors in 1974 to develop a new model of community-based services and remains dedicated and true to its mission to provide holistic, quality services to support the well-being of people and the communities to which they belong. Argie took the helm of the organization in July 2015 and is joined by six other talented women in the leadership team to take Open Hearts to new levels in the behavioral health and wellness field. Earlier this year, the organization entered a new era in their 42-year history with the launch of a new name and brand image. Argie, along with the Board of Directors and staff leadership, unveiled the organization’s rebranding from YETC to “Open Hearts Family Wellness” during a community event that was held at the Heard Museum. The branding change coincided with Open Hearts’ focus on a holistic approach to family wellness. This year’s honorees are doing outstanding work within their organizations and in our community. Every year, the Phoenix Business Journal’s intention is to give worthy individuals the recognition they deserve, as well as to use their example to inspire other companies and business leaders to achieve similar success.